Guide was very patient and helpful in explaining the history and culture of ancient Ayutthaya. We got to visit the Elementary school and talk to the school organiser. Visited many historical sites which dates back to the 14th century. Recommended for one who enjoys history and leisure cycling. 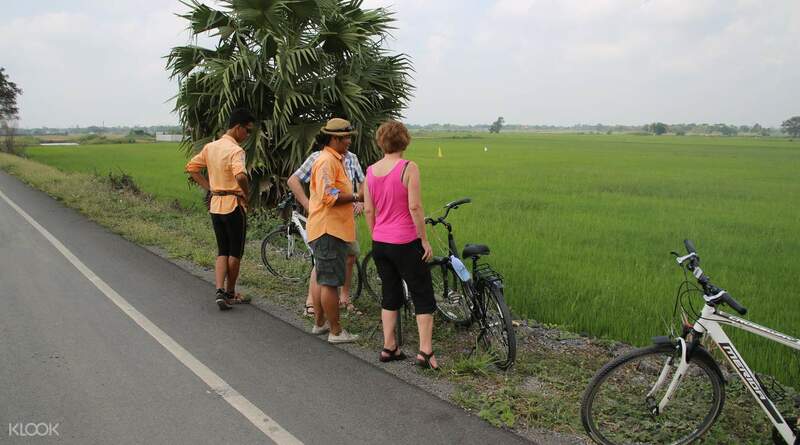 Enjoy a relaxing bike ride through the suburbs of Ayutthaya exploring the old capital's ruins and historical parks. 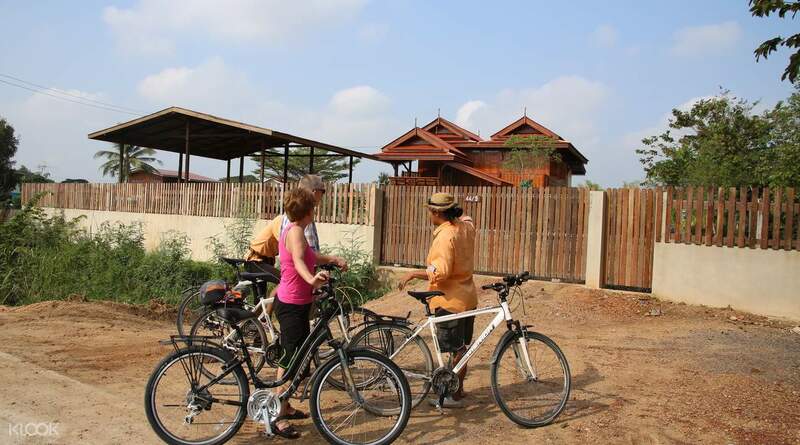 Hop on a bike and start the tour by riding through quiet villages and rice fields. At noon, you will relax over a light Thai lunch and go on to visit Ayutthaya's signature Buddhist temples: Wat Mahathat and Wat Pra Sri Sanphet. 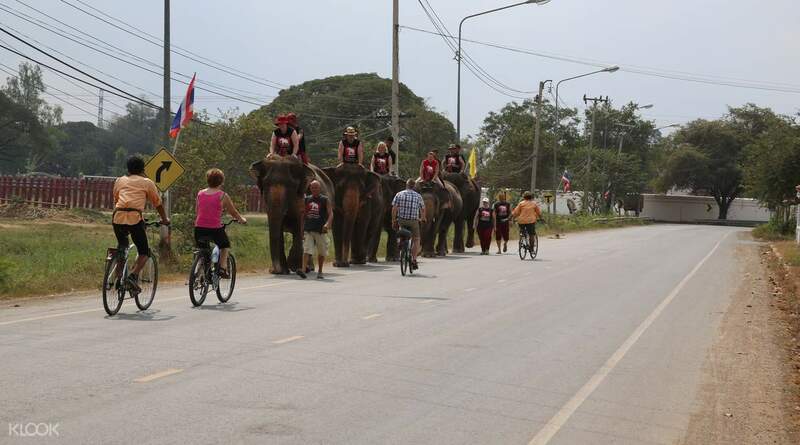 Ride though the local market where you will get to discover Thailand's cuisine in all its richness and sample fried and baked local delicacies. The tour of the temples then continues with a stop over at Luang Phor Lokayasuttha, home to the biggest reclining Buddha in Ayutthaya. Your trip will conclude with the crossing of the Chao Phraya River before you make your way to your next destination, to Bangkok or stay on in Ayutthaya. 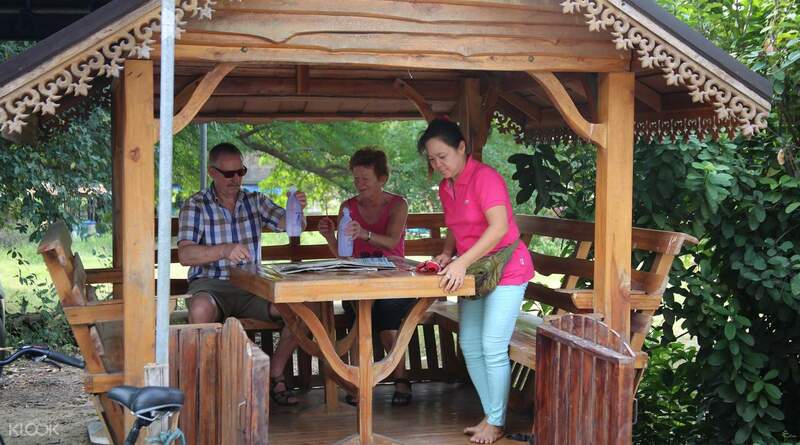 Guide was very patient and helpful in explaining the history and culture of ancient Ayutthaya. We got to visit the Elementary school and talk to the school organiser. Visited many historical sites which dates back to the 14th century. Recommended for one who enjoys history and leisure cycling. 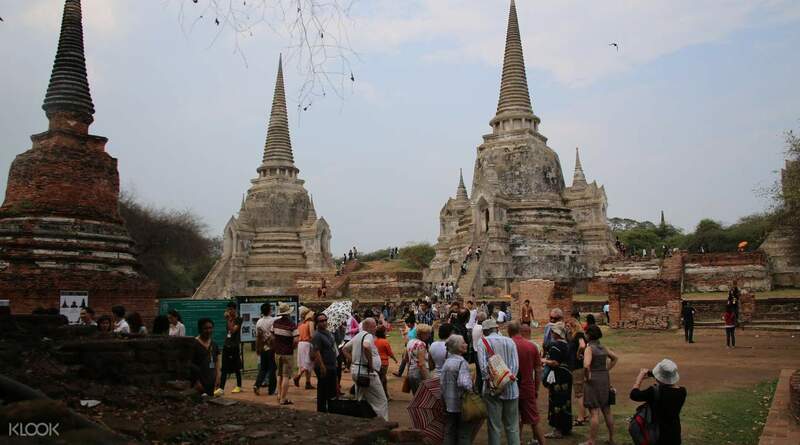 Guide was very patient and helpful in explaining the history and culture of ancient Ayutthaya. We got to visit the Elementary school and talk to the school organiser. Visited many historical sites which dates back to the 14th century. Recommended for one who enjoys history and leisure cycling. Riding a great, beautiful scenery, an unforgettable trip. 骑行很棒，风景很美丽，难忘的一次行程.